Let me start off by saying, I am not a political gal, in any shape, form or fashion. If you start a conversation with me about politics, more than likely I will be lost and remain silent, as any opinion that I may have to offer, based on subject matter, will not be an educated one. 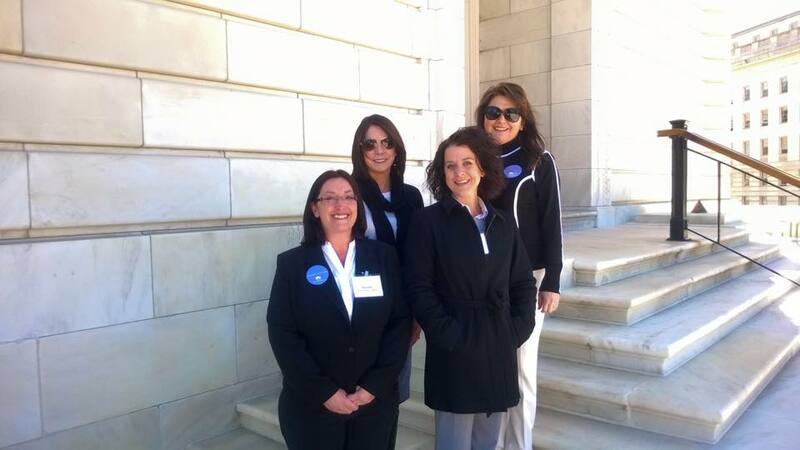 But, I was provided an opportunity to be a part of the NAA Capitol Conference this year. And will be provided the same opportunity again next year. And I have to say, I may very well become an advocate for what the Capitol Conference stands for and what it exists for. 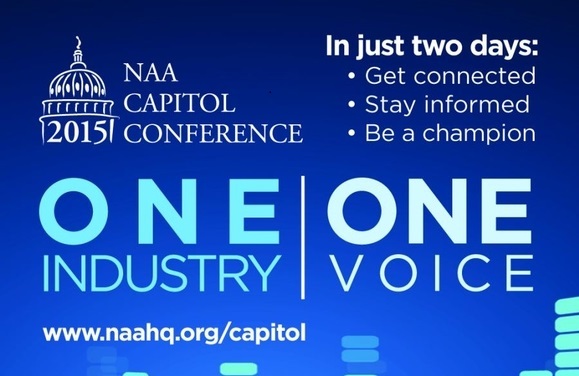 Because while I am already extremely passionate about what we do for a living, the Capitol Conference provides you, as an individual, an opportunity to join other individuals to speak out and make a difference in key issues. While the key issues are provided to you, maybe one day, as future leaders of our industry, we will have an opportunity to have an input on those key issues that we speak to Congress about. You never know. "One Industry. One Voice." It was such an amazing opportunity and I am not 100% certain that I can put into words how it made me FEEL. Yes, feel. You're in a group of industry professionals, some seasoned at this, some newbies, like yourself, and you just know that you're currently in existence to not only learn something new and experience something new, but to make a difference. While I want to recap the entire experience, I also want to ensure that I am really being genuinely descriptive about what this entire experience meant for me. 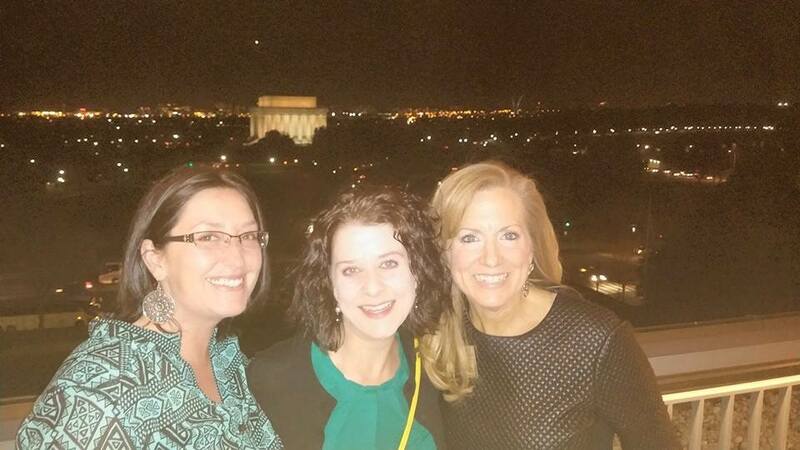 The Capitol Conference started off with the NAAPAC BGF Reception at The Potomac View Terrace at the American Pharmacists Association. (Wow, that is a lot of acronyms….let me break that down for you: National Apartment Association Political Action Committee Better Government Fund Reception). Yea, that’s why acronyms were used. Anyhow, I realize without going into grave detail about each item, that it truly means nothing to you. But let me just state, despite the Capitol Conference being one of utmost professionalism, we are still individuals of the apartment industry, and as such, no event starts without a reception with hors d’oeuvres and cocktails. The setting was amazing, as seen in the photo below. I will just add a side note here, the evening started out somewhat hectic considering Brandy and I arrived later than most and were unable to check in during the allotted registration time, therefore missing the opportunity to pick up our tickets for said event. Of which required prior security clearance with driver license numbers being provided. Panic attack over, we boarded the bus, ticket-less, being advised that others as well had not brought along their tickets. Apparently there was a list with all registered guests, tickets were simply needed to be purchased in advance in order to get on said list (i.e. not be a psycho). I digress….. The evening was amazing and honestly, somewhat intimidating. We were surrounded by industry professionals who, for the most part, were well versed in walking the Hill and speaking to Congressmen/women and Senators. In that very specific moment though is when I realized, that these leaders surrounding us, are truly paving the way for future leaders. And as cheesy as that sounds, it’s really the truth. Michelle Childers, Leslie Yielding, Frank Barefield, Nicole York, Kimberly Borst, Stephanie Tinney, and others, will retire one day. They’re leadership and guidance are what pave the way for those of us willing to take the torch. That’s a fairly epic realization when you’re in the midst of your career. We kicked off day one of the general session with photographer, Platon, as the guest speaker. Honestly, I’m not sure anyone in the room, short of those who had heard him speak before, knew the connection between a photographer also gone rogue to speaker and our industry. It didn’t take long to make the connection. Platon is a world renowned photographer who is also a human rights activist and during his presentation placed emphasis on who the person was in every single portrait he showed. It was gut wrenching. One part especially, when he showed a photo of a military wife who had lost her husband about nine months prior [to the photo shoot], had received his personal effects about six months prior, and was wearing her late husband’s Army t-shirt and wedding ring on a chain around her neck in the photo he showed. He told a story of how she had not opened the box of his personal effects since they had arrived but wanted to wear his Army t-shirt when her photo was taken, he of course explaining that he could excuse himself while she did this very personal thing of touching the last of all her husband’s belongings…….the story ended with him telling us that she had said to him that the hardest part of going through everything, the part that made her the saddest, was they had washed everything before sending it back to her. That’s the connection, the humanity in what we do. 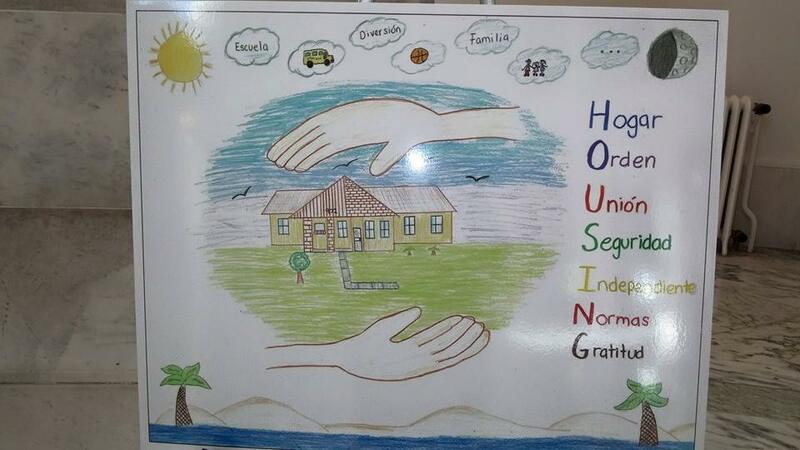 The fact that we provide homes to families just like this one. That we provide a roof over their heads. Our communities, that we run, we manage, we lease, are their homes. No matter the human involved, no matter their story, no matter their background, their roof is at our community. Their home is what we make it. I do invite you, if you have never had the opportunity to listen to Platon speak, I have found a similar presentation of his on YouTube and shared the link. 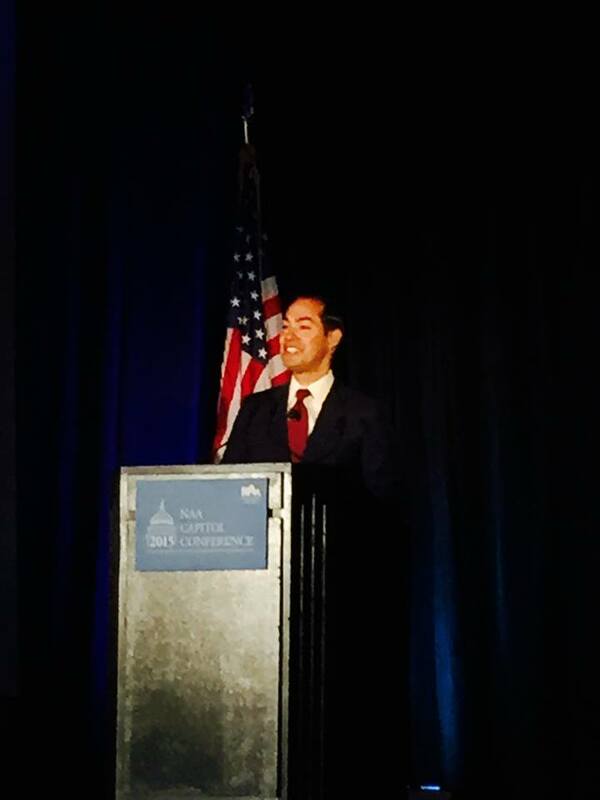 The day continued with several educational opportunities and our luncheon speaker, Julian Castro, the new Secretary of HUD. Hearing him speak about his goals, his outlook and his overall perspective of the housing industry was one I truly appreciated. He was mayor of San Antonio, if I remember correctly, for about three terms, during which he established a vision for the community of San Antonio, referred to as SA2020 and is a concept of everyone’s vision of the community of San Antonio for the year 2020. He has a past history of building communities, he has a vision, and one of which is for the greater good, so having him speak to us as the new Secretary of HUD was fairly awesome. 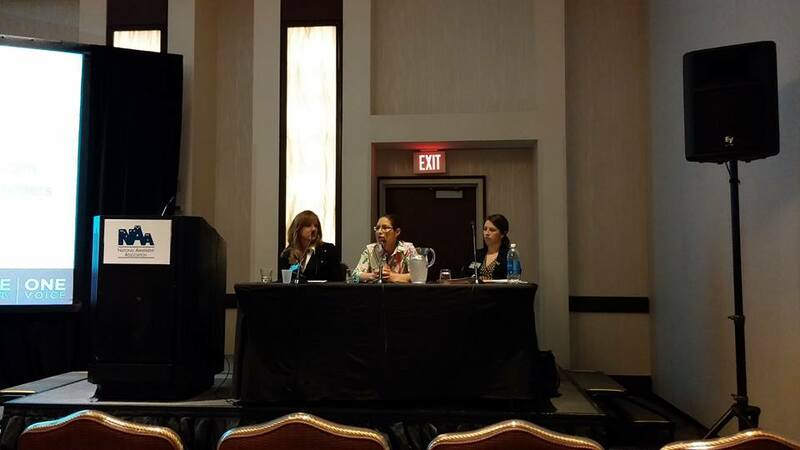 Now comes the next educational session that we chose to participate in…..Put on Your Sales Hat to Solicit for PAC. This was important to us for a number of different reasons. As President and President Elect of our Apartment Association we are charged with the responsibility to solicit for the NAA Political Action Committee. And there goes along with this a lot of explanation, of which I will gladly explain. PAC exists as a non-partisan avenue to promote our industry in the political arena. Lawmakers are constantly making decisions that can change our industry for good or bad, making decisions that can effect YOU and YOUR JOB. The PAC is in existence to allow an opportunity for NAA members to take part in campaigns of those candidates who are pro-apartment. And you wonder why we ask YOU specifically for your contributions as an individual? Because, despite NAA being a large conglomerate, who can afford to make a large contribution, they are not allowed to do so out of their own treasury to federal elections. PAC is literally the only outlet in which you can make a contribution to make a difference. If you would like to make a contribution, you can reach out to myself, or anyone else within your local apartment association. I want to stress again, that I am in no way political, but some of the things discussed in Congress, effect us, effect our jobs, effect our ability to do our jobs well, if a law is passed that is not pro-apartment, imagine it as a roadblock to your success! Here, I want to thank Michele Childers for teaching this particular educational seminar, for teaching Brandy and I the importance of PAC, how we can make a difference, and why that difference matters. She is one of the largest advocates of PAC that I have encountered thus far, and she truly knows her stuff. Put that alongside her passion, and it truly is contagious! I am going to note here that there were several other educational seminars that we were not able to partake in, there were several other speakers (including David Gregory, former NBC Chief White House Correspondent) that we did in fact listen to, however, I am simply high-lighting those that resonated with me on a deeper level. And while there were take-aways from everything, this blog would be a story book if I did not remain somewhat concise. 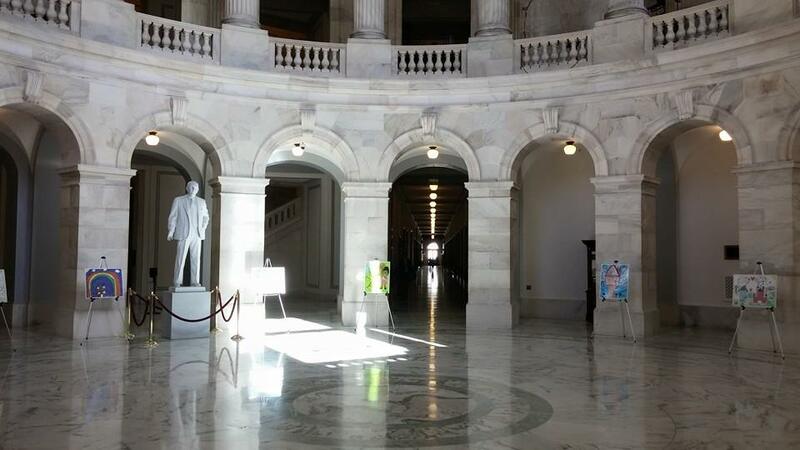 The next day, Wednesday, March 18th was Lobby Day on Capitol Hill. I’d hardly say we were prepared. We were intimidated and scared. We had been provided speaking notes, we had been provided the list of the issues on the table to address this year (Tax Reform, Section 8, and Immigration), we had even watched role playing during the general session and listed to a Q&A forum. We were still not mentally prepared for speaking Congressmen/women and Senators. At least, not in our minds. We prepped that morning with a majority of our Alabama group. The leader of said group being Frank Barefield. He was an alumni and as such, knowledgeable about what we were about to embark on. Sitting with him and listening to his examples was one I will never forget. He was clear, concise and to the point. A great example of the expectation on us when we are sitting in these individual’s office. We all walked away feeling somewhat more able to speak to these individuals. I want to take a moment here to provide you with the facts and statistics, of which I’ll be honest, I never really knew myself until I was in Washington. While I always knew that my passion encompassed my community, my company, my region; being in Washington, lobbying for issues that affect us on a much larger level and the difference that we as apartment communities make to the economy, was, well, enlightening to say the least. In 2013, the nation’s 19.5 million apartment homes and the 36 million residents contributed $1.3 trillion annually to the economy, supporting 12.3 million jobs. As an average, that’s $4 billion per day to the economy. Staggering information, isn’t it? You should look up the specific information about the District that your property sits in, NAA or your local apartment association can help you with gaining that information. You should. It’s insightful to be aware of the impact that your community has within your local economy. The statistics above are at a national level. Ok, so I digressed this time for a legitimate reason, but let me get back on topic. We approached Lobby Day on the Hill tentatively, which is not our typical mode of operandi, to say the least. Brandy and I are typically taking the bulls by the horn, but this was unchartered territory for us. 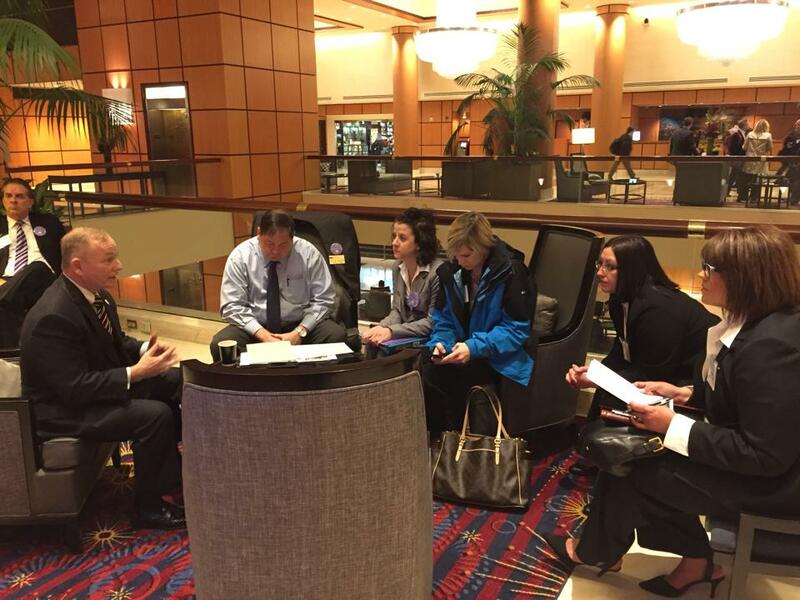 Our first meeting was to be alongside group members Frank Barefield, Michelle Childers and Leslie Yielding. We had the alumni on our side and we could watch the first go round, before moving on to the next meeting without them. When we walked into the Cannon Building to take our meeting, Leslie was calling us to let us know they had taken the meeting with Congressman Mike Rogers early. Ooooooooh, we were disappointed to say the least. We approached the group, listened to the outcome of the meeting and made general small talk. Michelle suddenly decides that we should go on to our next meeting with Martha Roby and see if they will also take us early. Needless to say, it was about an hour and a half before that meeting was scheduled. We were not ready for that, the remainder of our group for that particular meeting was nowhere around, taking their own meetings this minute. YOU WANT US TO DO WHAT?!?!?!? At this point there are a million different reasons to say no. We hadn’t prepped for certain line items, only line items we were responsible for talking about. We had never done this before. Going to a meeting with a State Representative alone? You want to send the newbies?!?! We don’t say no. It’s in our genetics. So. 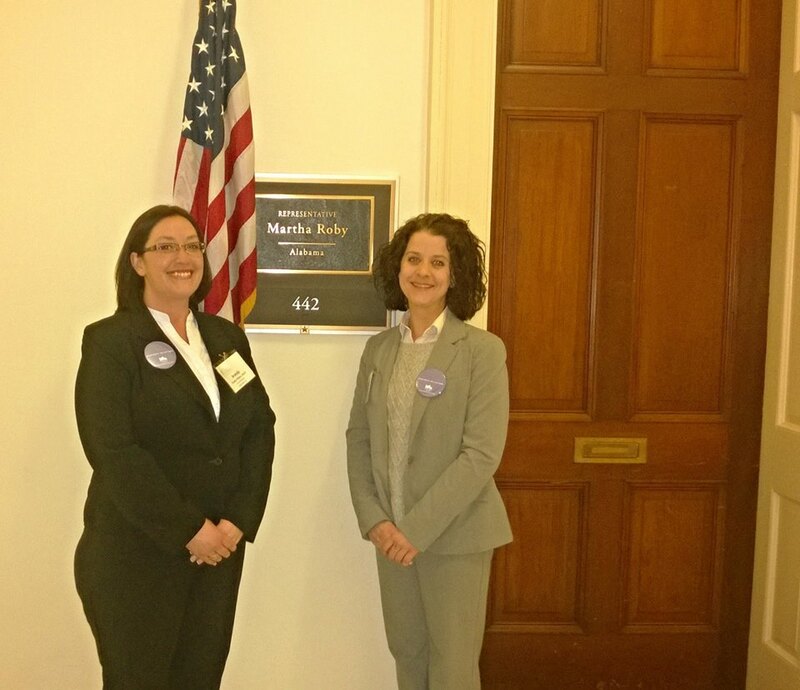 We took a deep breath, walked downstairs to Martha Roby’s office and asked if we were able to take our meeting early. *clickity clack* of nails on keyboard and wouldn’t you know, she said, “Of course! This will work out great for our schedule!” (Our minds, thinking, “Of course it will….”). So we took the meeting early. We walked into a conference room waiting. Then nailed it. No, we more than nailed it. We ROCKED it!! We went over all key points of Section 8, Tax Reform and Immigration, even with a great intro to the importance of multi-family to the economy. We were engaging, we answered questions, we showed legitimate knowledge and information. I’m telling you, when we left that conference room, it was all I could do to make it down the hall before doing a happy dance on Capitol Hill. But I did. In Washington. On Capitol Hill. In the Cannon Building to be exact. And I will never forget that moment! We took another meeting with our entire group later that afternoon in the Russell Senate Office. This is only worth mentioning because of what Brandy and I stumbled upon when we left. She referred to it as “Serendipity in the Senate Office”. 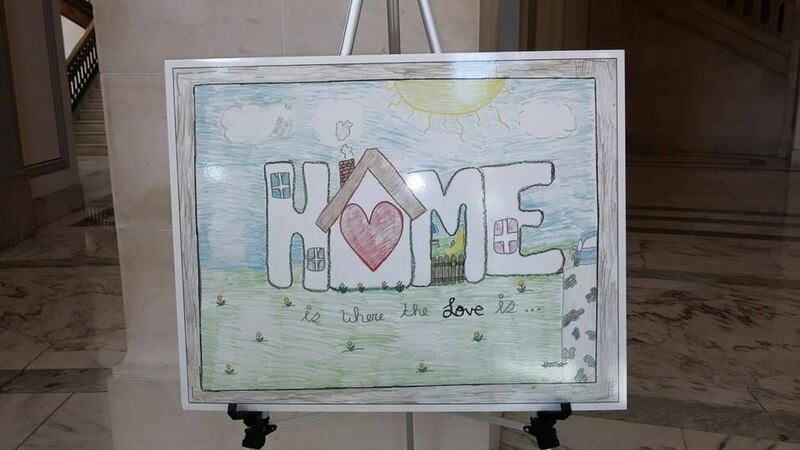 Children’s art work, about what home means to them was set up in the circular foyer of the building. Home is what we are in the business of. And “home” takes on so many different meanings. One of importance.